Wrap records signee George Evelyn, better known by his stage name Nightmares On Wax or DJ E.A.S.E., is a DJ and electronic music composer from England. Nightmares On Wax crafted a unique sound built on a fusion of jazz, hip-hop, reggae and the early rave sounds that could be heard across England in the late ‘80s and early ‘90s. Nightmares On Wax released his eighth album ‘Shape of the Future’ in January 2018.The album has electronic music’s finest funk-flavoured dance grooves. 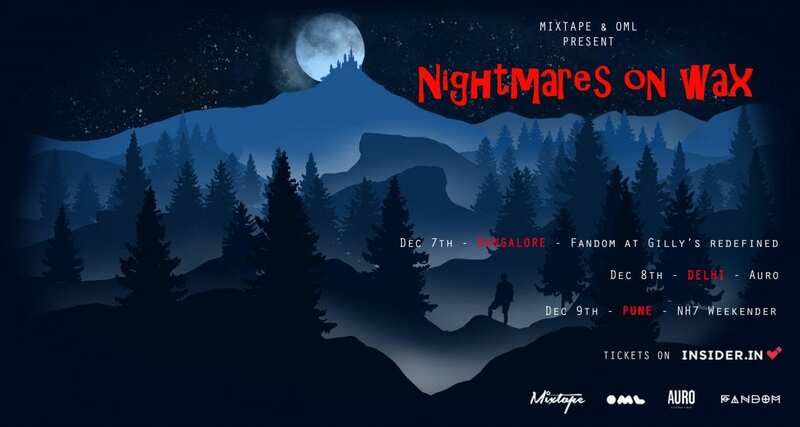 Catch Nightmares On Wax on tour in India December 2018.